Post-colonial development in Mozambique has led to a diminished interface between the general knowledge and the technical knowledge required to maintain a society that functions along the lines of modern statehood.This interface conditions society as a whole, but also impacts the applicability of specific knowledge, such as that of architecture. As the profession’s tools regarding the management of resources often fail to correlate with cultural patterns regarding the organization of space, architects must engage with processes that seemingly contradict the terms of their work. 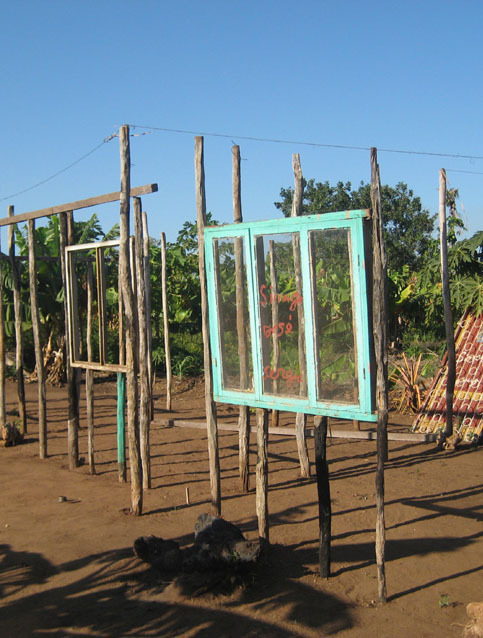 By looking at vernacular architecture in post-colonial Mozambique, the author describes a process whereby formal and informal modes of production influence each other, resulting not only in a panoply of formal options, but also in a mode of knowledge production that is leading to a renewed rapprochement of general and technical knowledge. Construction of a house, Mozambique.